Holiday gift-giving is fun, but no one wants to start January short on cash. 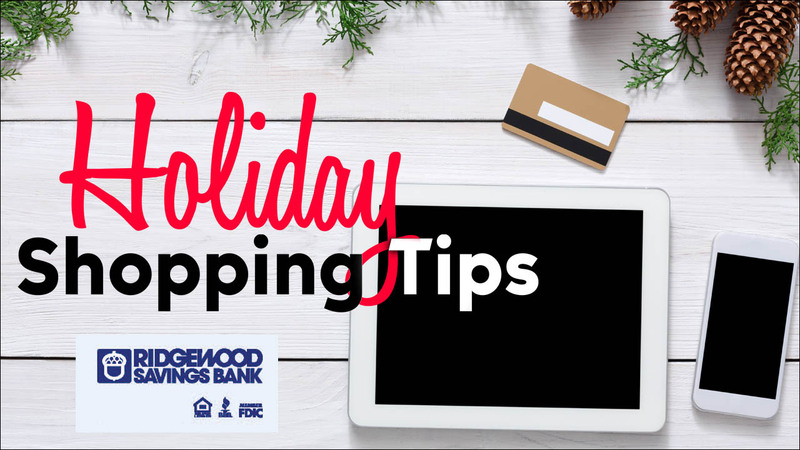 Try these money-saving shopping tricks to help bring holiday cheer to your loved ones, yourself and your bank account. Be on the lookout for great gifts throughout the year. Start your holiday shopping as early as possible so you won't feel pressured at the last minute and end up paying too much or buying a less-than-perfect gift. You never know when you'll find the right gift at the right price. With Ridgewood Savings Bank's uChoose Rewards program, you can earn points with your everyday debit card purchases and choose from a huge selection of rewards when it's time to redeem them. From electronics and entertainment to gift cards and meals, you're sure to find something they'll love - without spending an extra dime. Online shopping is a great option during the holidays, but if you go this route, make sure the shipping costs don't eat up your budget. You may be able to ship your gifts for free, with guaranteed delivery by December 24, by shopping with any of the hundreds of online stores participating in "Free Shipping Day." Mark your calendar for this year's event on Friday, December 15. With Ridgewood Rewards, your holiday spending can help you earn points that you can use on a gift for yourself after the holidays or as a head start on next year's birthday or holiday gifts. The points you earn with your Ridgewood Debit Mastercard make it easy to save for something big. You may hear about exciting, one-time-only deals on Black Friday or Cyber Monday, but are they as good as they sound? Not necessarily. Before you open your wallet, go online to compare prices with competing stores and get an idea of how much the item typically sells for. And, if you've been saving up points through Ridgewood uChoose Rewards, you may be able to find that same item in the program's vast selection of available rewards. During the holidays, it helps to be creative when someone on your list is "impossible to buy for" (like Dad). Remember, a great gift can also be an event or experience, such as dinner out, travel, or tickets to a concert or sporting event - and these are all possible with Ridgewood Rewards. At Ridgewood Savings Bank, we want to make your everyday purchases simpler, easier and more rewarding. Our Ridgewood Debit Mastercard customers can earn points toward a huge selection of cool rewards through our rewards partner, uChoose Rewards, plus special cash-back offers through Ridgewood Cash Back Rewards. Learn more and start earning your own Ridgewood Rewards today. Benefits, Rewards Points, and the redemption of Rewards Points under the uChoose Rewards program are administered by Fiserv, Inc., an unaffiliated third-party vendor of Ridgewood Savings Bank. uChoose Rewards is a registered trademark of Fiserv, Inc. All other trademarks referenced in this material are the property of their respective owners. Program subject to change or discontinuance without notice.